Patients suffering from brain damage have lost an “important safeguard” that protects their lives, say campaigners in response to a Supreme Court decision. Yesterday, judges at the UK’s highest court ruled that if families and doctors agree to withdraw food and fluids, they can do so without a court’s permission. But Care Not Killing say such patients can live for many years and some may regain awareness. Judges were considering the case of a man, named only ‘Mr Y’, who had a cardiac arrest which led to brain damage. The Supreme Court has set a dangerous precedent. His doctor concluded that if he regained consciousness, he would be dependent on others for the rest of his life. Both his family and the medical team agreed it would be in his best interests to remove food and water – which would have resulted in his death in two to three weeks. Although Mr Y died before a decision was made, the Supreme Court decided to continue because of the general issues raised. Previously, independent experts in the Court of Protection would have considered Mr Y’s case. But the Supreme Court has now decided that step may not be necessary. It also highlighted an earlier judgment’s decision that clinically assisted nutrition and hydration (CANH) is “to be seen as medical treatment”. “There is a clear difference between turning off a ventilator on a brain-dead patient and removing CANH from a brain-damaged patient. “The Supreme Court has set a dangerous precedent. 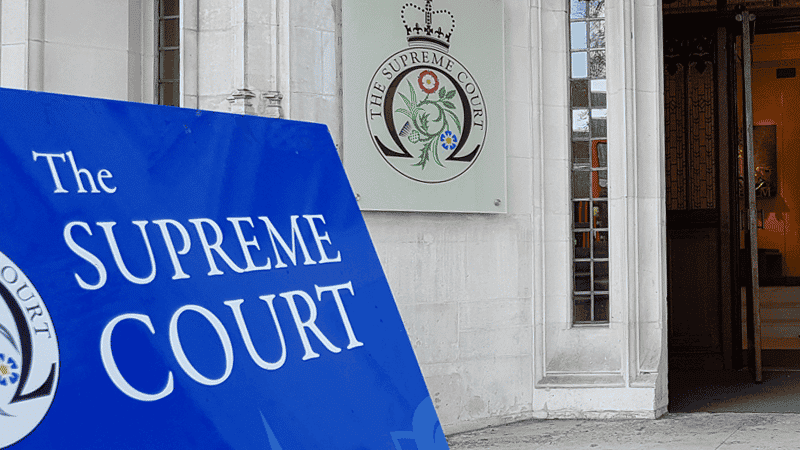 The Supreme Court did make clear that there is a difference of opinion, if the Court of Protection should still be involved. But Melanie Phillips, a columnist for The Times, warned that hospitals could pressure families into agreement and courts could minimise loved-ones’ views. “Ending a life on compassionate grounds is euthanasia”, she wrote.